Heroes Infinity MOD APK is an offline Action RPG Android game from DIVMOB.Its always pleasure to bring entire army in to the battlefield with your favorite upgraded hero which is chosen from many heroes. 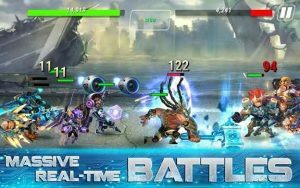 Heroes Infinite MOD APK will deliver its pure Action RPG taste to its RPG lovers. 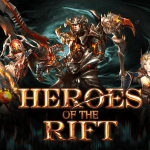 Bring your heroes and supporters in the fight and assemble your favorite team to complete varieties of missions and quests. 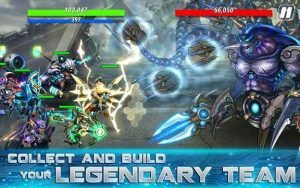 Epic Journey awaits of Heroes Infinity MOD APK with Unlimited Money for upgrading and evolving your heroes easily. 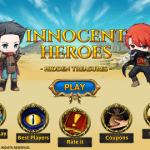 A New RPG comes and we always think about its freemium model and same infinity looping gameplay for increasing player stats or getting better heroes. 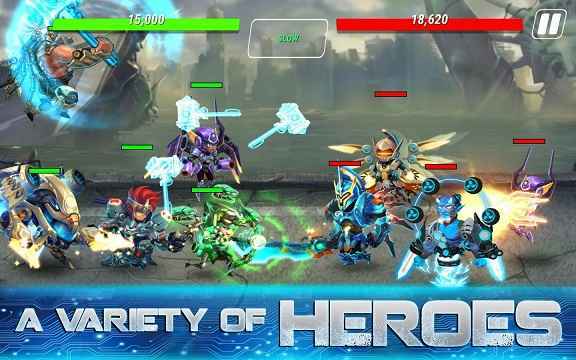 Here Heroes infinity MOD APK is kind of different RPG than all other ones.Gameplay is simple its like playing a platformer on Android. 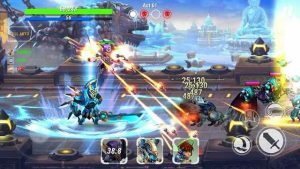 use two buttons to move your main heroes and alternatively you can also bring 3 other heroes to the battle and they will use their own unique skill to kill the enemies in no time. 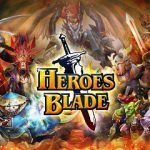 You can acquire new heroes by collecting their shards. you can simply play described level to get particular shards. 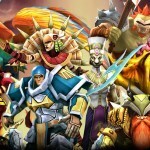 when you get enough shards you will have opportunity to evolve your heroes to anther level. you can upgrade its skills using GOLD COINS which are unlimited here so you can instantly upgrade your heroes to its MAX stats. collect new heroes from the store so you can bring new heroes and use them in battles.Auto Mode is common nowadays use this feature when you are grinding for parts or shards. 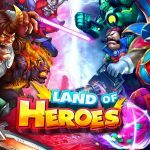 since its a MOD APK of Heroes Infinity with Unlimited Money Gold and Gems you will get all your required parts easily. There are different game MODES available in the game. 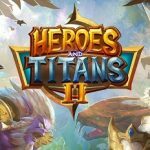 Adventure MODE where you can easily gain XP for your heroes. Skyscraper challenges where you can test your army strength and continually defeat them and walk on hard levels. Star Gate MODE will allow you to collect heroes shards and other MODES are training field and boss party. you can defeat boss battles to get some XP and Golds.Some modes are offline playable and some requires you to be online. There is a PVP MODE as well under online section so you can defeat real players online. Install MODDED APK and Play. Thank you so much to provide us with this mod, its AWESOME !!! However, could you also mod other purchase to be free or in negative value just like gems ? i means, there is stella point, battle point , and others. and maybe, if its possible, maybe some damage or godmode will be great, for pve purposes. Many thanks RG, you are the best ! Thanks a lot for this, will it be possible to change all transaction into positive ? Like in stella, battle point, etc. my game have banned. please rg for your apps make anti ban. thanks. Dear rg. Why not work to me..? I’m so tired. 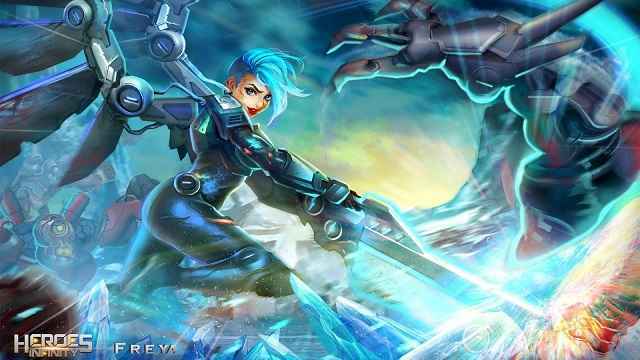 Install and uninstall this game. I’ve been downloaded this(v1.13.4) and install it but it’s FC when load the game at 70% back to homescreen . trying in bluestack same problem, always stuck and FC after 70%. trying in offline mode it become unfortunately bla bla bla has stopped . i’m downloading from solidfiles . is that possible if the apk’s broken ? or maybe you can share how to mod this :D thanks for your attention . I’ve installed it and said apk not installed. But when I tried it to other phone it works. Unlimited gems and money doesn’t makes sense if you can’t buy anything in offline mode. Because great deals should be bought thru online and you can’t play if the keys are all spend out. And that is really annoying. Maybe much better to make it free shopping. :) this mod will be more awesome dude if you do so. Rather those can only be bought thru online .. When I got online again my level got backed to lvl 1. Insane. All my level ups items got backed to normal again..
My account wws banned yesterday. Please upload MOD with anti-ban. Thank you and more power. they track activities. tracking can be disabled. Help me please how.. Thanks. is there any way to not get banned on pvp/online mode ? Dont buy in left monitor and dont refresh with diamond. I play more than 2 month still works. I can play in all arena i want. Sorry for my bad english. Hi RG please update.. there’s a new update :( I really like this game. Thank Rg I like this game but I can not sign in google play ? Can you mod with anti banned ? where is the download button!!! i spent all that ‘unlimited money’ in a week,how can i get more money? Lol.. Seriously unlimited money got finished…. If I use this version I will get banned. How to not get banned any idea ? Because i mod some games but the mod is in TBfiles ;-) and i will play it on a none rooted device. Unlimited coin but once your key running out its useless even unlimited money/gem or whatever. Make it unlimited key if can then its worth of download. Yeah I think so. It will be great if key Is unlimited too. RG my key is running out..
RG can you make it all characters Unlock? Thank you so Mich RG your the best hacker in the world?????? i got banned on the online arena, how too unbanned? Excuse me RG, I cannot summon either freemium and premium draw weapons and heroes. Game said “Internet connection is required”, but I’ve already connected wifi and it needs to update. Will you please update this mod.. I love this game in offline. In old version can buy with stella ? What version you play ? boss we cannot play arena for you know?